Seriously, this guy can cry. 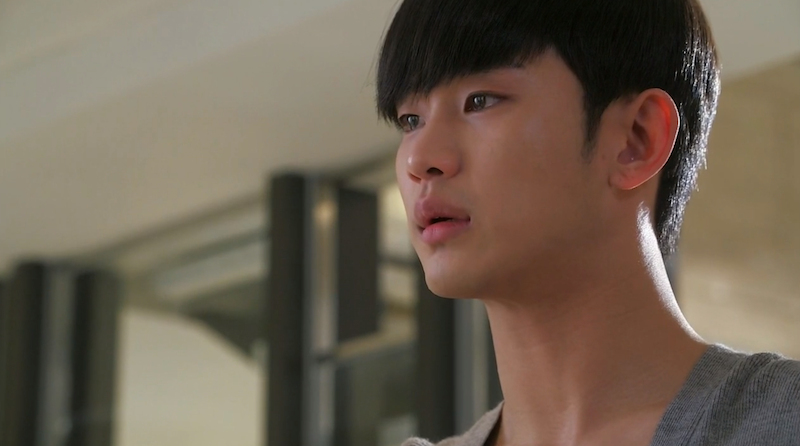 I can’t help but feel my own heart scream in agony whenever Kim Soo Hyun lets the tears fall. 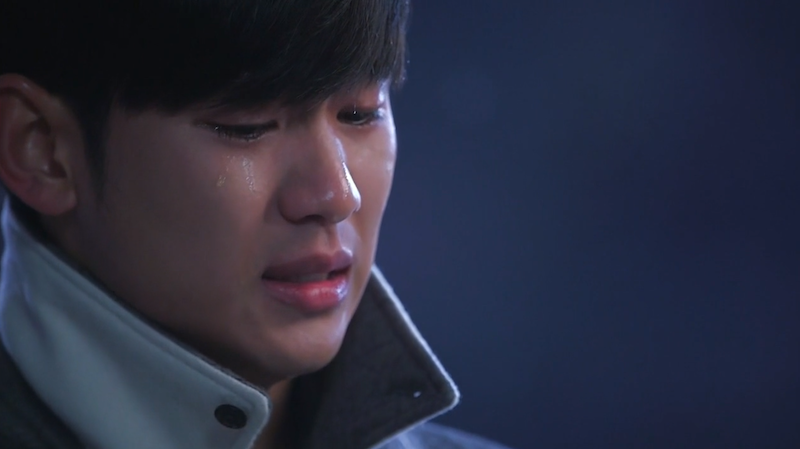 When it comes to crying scenes, Kim Soo Hyun wins them all. 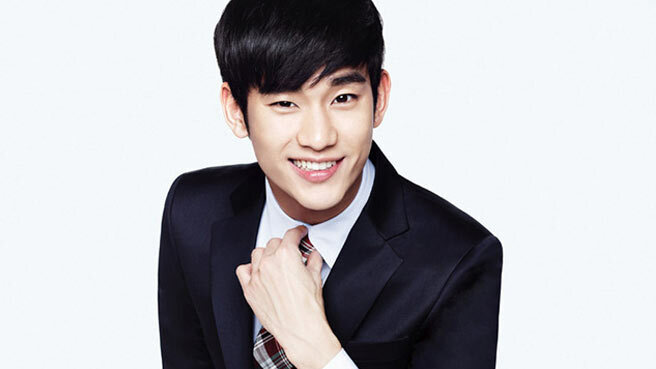 Man from the Stars sure has taken full advantage of Kim Soo Hyun’s talent. While Min Joon’s impending departure is giving viewers plenty of opportunities to witness Soo Hyun’s crying skills, I would prefer if these displays of talent could be kept to a minimum. My heart can’t take much more! His execution is perfect. A single tear will fall and I instantly feel any hope or happiness flee from my soul. 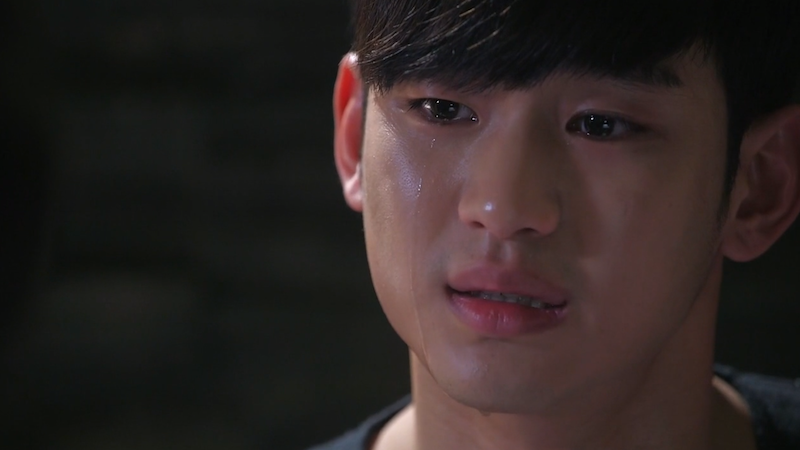 Of the many Min Joon crying scenes, the epilogue in episode 12 hit me the hardest. How does Min Joon feel about his nearing departure? Just look at the picture above to find out. His sobs say it all. Kim Soo Hyun has done a wonderful job portraying Min Joon’s complex emotions, particularly his ever-increasing heartbreak. I’ve become fully invested in Min Joon and Song Yi’s relationship, and I have to say much of that has to do with the undying and believable love I feel from Min Joon. 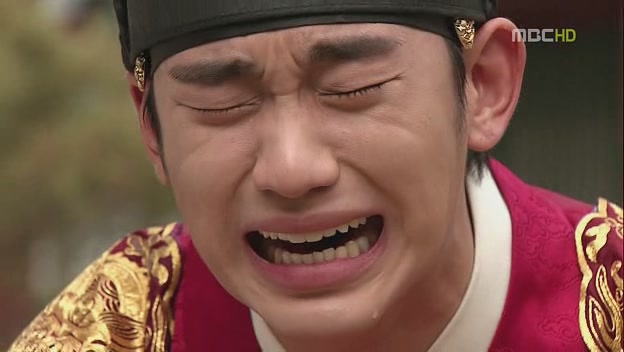 Let’s not forget some of Kim Soo Hyun’s other great crying feats. 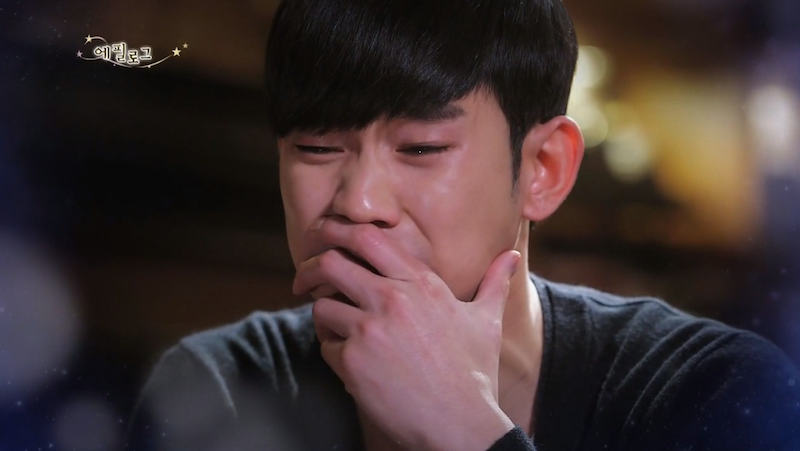 Kim Soo Hyun’s crying talent didn’t start in Man from the Stars. He has a long history of great sob scenes. I also love this side by side comparison. Kim Soo Hyun sure knows how to turn on the waterworks! Oh boy, Kim Soo Hyun’s cries DESTROYED me in this movie. 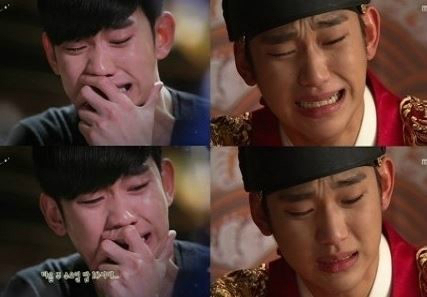 If Kim Soo Hyun is a gold medal “Crier”, who do you think deserves to win silver and bronze? Cast your votes below! Ok, enough crying. Don’t forget, Kim Soo Hyun also wins a gold medal for his smile! He absolutely the great.. smile or cry.. he still look perfect… how cool..!! !